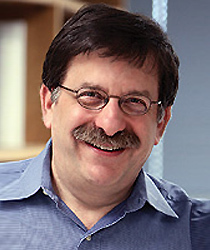 Prior to joining the faculty of the A. James Clark School of Engineering at the University of Maryland, Professor Rubloff served as the associate director of North Carolina State University's NSF Engineering Research Center for Advanced Electronic Materials Processing and as an adjunct professor of electrical engineering at Yale University. Before pursuing a career in academia, he served for 20 years in a variety of research and management positions at IBM's Thomas J. Watson Research Center in Yorktown Heights, N.Y. Professor Rubloff is a past director of the Institute for Systems Research, of which he remains an active member. AVS Gaede-Langmuir Prize, 2000 “for the inventive application of surface science and vacuum technology to the semiconductor industry, and for fostering an effective bridge between AVS research and manufacturing”. This award is presented biennially “to recognize and encourage outstanding discoveries and inventions in the sciences and technologies of interest to the American Vacuum Society." Professor Rubloff has been very active in industry and consortium activities, consulting, professional societies, government agency activities (including the DOE and NSF), and in service to the University of Maryland through advising, teaching, and his participation in department, college and university-level committees. He has also served on the editorial boards of a variety of publications, and on professional conference program committees. Please see Professor Rubloff's C.V. (PDF) for a complete list of his academic, industrial, government and community service activities. Multifunctional nanostructures for energy storage and capture, atomic layer deposition (ALD) process, mechanisms, and technology, nanoscale devices for quantum computing. Please visit Professor Rubloff's web site to learn more about his industry short courses and courses he has taught for the Department of Electrical and Computer Engineering. “Structural, electrical, and optical properties of atomic layer deposition Al-doped ZnO films”, Parag Banerjee, Won-Jae Lee, Ki Ryeol Bae, Sang Bok Lee, and Gary W. Rubloff, J.Appl. Phys. 108 (4), 043504 (17 Aug 2010), DOI: 10.1063/1.3466987. “Chitosan: An Integrative Biomaterial for Lab-on-a-chip Devices”, S. T. Koev, P. H. Dykstra, X. Luo, G.W. Rubloff, W.E. Bentley, G.F. Payne, and R. Ghodssi, Lab on a Chip 10, 3026-3042 (2010), DOI: 10.1039/C0LC00047G. “Biofabrication to build the biology-device interface”, Yi Liu, Eunkyoung Kim, Reza Ghodssi, Gary W. Rubloff, James N. Culver, William E. Bentley, and Gregory F. Payne, Biofabrication 2, 1-21, 022002, DOI: 10.1088/1758-5082/2/2/022002. “In situ quantitative visualization and characterization of chitosan electrodeposition with paired sidewall electrodes”, Yi Cheng, Xiaolong Luo, Jordan Betz, Susan Buckhout-White, Omar Bekdash, Gregory F. Payne, William E. Bentley, and Gary W. Rubloff, Soft Matter 6, 3177-3183 (2010), DOI:10.1039/C0SM00124D. “Chitosan to electroaddress biological components in lab-on-a-chip devices”, Y. Liu, X.-W. Shi, E. Kim, L. M. Robinson, C. K. Nye, R. Ghodssi, G. W. Rubloff, W. E. Bentley, and G. F. Payne, Carbohydrate Polymers (2010); DOI: 10.1016/j.carbpol.2010.03.038. “ALD-based Metal-insulator-metal (MIM) Nanocapacitors for Energy Storage", Parag Banerjee, Israel Perez, Laurent Henn-Lecordier, Sang Bok Lee,and Gary Rubloff, ECS Transactions 25 (4), 345-353 (2009). MSE Alumni Parag Banerjee ('11) discusses his tenure at UMD. From Nanostructures to Mesoscale Architectures: Electrochemical Storage for Smart Things. Research paper published in Advanced Energy Materials. Stretchable Silicon Photovoltaics is a new design for silicon solar cells. Emily Hitz is one of only five recipients of Aeronautics Scholarships and Advanced STEM Training and Research Fellowship. Advised by Gary Rubloff, his research is titled, "Development of Vapor-Phase Deposited Three Dimensional All-Solid-State Batteries." John Hayden will speak on Nanocarbon Current Collectors for Aqueous Batteries. MSE Graduate Student, Emily Hitz, is one of three students to receive the 2017 Harry K. Wells Graduate Fellowships from the Clark School of Engineering. Rubloff receives highest academic honor conferred by the University of Maryland. Clark School honor celebrates strong and influential research. Students recognized for exceptional graduate research. Gu, Kozen will represent MSE in Dean’s Clark School-level competition. Hulka Energy Research Fellowship supports MSE student's design of new photoelectrochemical composites. The center develops highly ordered nanostructures that offer a unique way of looking at the science of energy storage. The Journal of Vacuum Science & Technology A is celebrating the 60th anniversary of the American Vacuum Society. Science covers efforts to protect objects in Walters Art Museum collection. Pulsing with lithium, tiny silicon beads on a nanotube hold promise for better batteries. Schroeder named John and Maureen Hendricks Energy Research Fellow. Graduate student joins highly selective cohort. Deutsch Foundation-sponsored Clark School research offers multi-pronged attack on major medical problem. Parag Banernjee (Ph.D. '11): Department of Mechanical Engineering & Materials Science at Washington University in St. Louis. Award provides stipend, travel credit, tuition waiver, and discretionary funds. Article on thin films also highlights work of MSE grad student Konstantinos Gerasopoulos. Rubloff says science should be "more use-inspired." Betz, Rubloff Highlighted in Chemical & Engineering News. Article covers grad student's development of components for computers, phones, and other devices that don't require electricity, batteries or solar cells. Team developing nanometers-thick, protective coatings using atomic layer deposition. Award provides stipend, supports research and travel. Paper by student of Gary Rubloff originally appeared in ACS Nano. Student recognized for work on nanoscale energy storage solutions. Electrostatic nanocapacitors are high-powered, easy to manufacture. Speech enhancing algorithm, high-density energy storage cells named best of '09. Breakthrough technology could lead to new light-powered devices. Funds support design of nano-tech coherent dielectric barriers for quantum computing. Paper covers advances in lab-on-a-chip technology. Ghodssi to take office October 1. Cross-campus team works to improves electrical storage technologies. Graduate student honored for nanotube crystallization paper. Maryland NanoCenter researchers create new device to store electrical energy. Fellowship benefits Great Expectations campaign. Graduate student developed the technology at Micron. Grad student focuses on energy generation, storage. Team places 3rd in competition. Research team includes Bentley, Ghossi, Payne, Rubloff. Professors honored for their efforts to bring sponsored research funds to campus. $2M NSF Grant for "Bacterial Communication"
Cellular and biomolecular engineering research to focus on biofunctionalized devices. Briber, Oehrlein, Phaneuf, Rubloff, and Wuttig honored at luncheon. Deutsch Foudation will fund Clark School bioengineering research on the nanoscale. $500k grant will benefit composition analysis and biological tissue characterization. A material found in crab shells is part of a new sensor system. New equipment and expanded capabilities to come. Students focus on transmission electron microscopy and neutron scattering in Chile and New Mexico. Israel Perez honored at MEMS Alliance Special Topics Symposium.